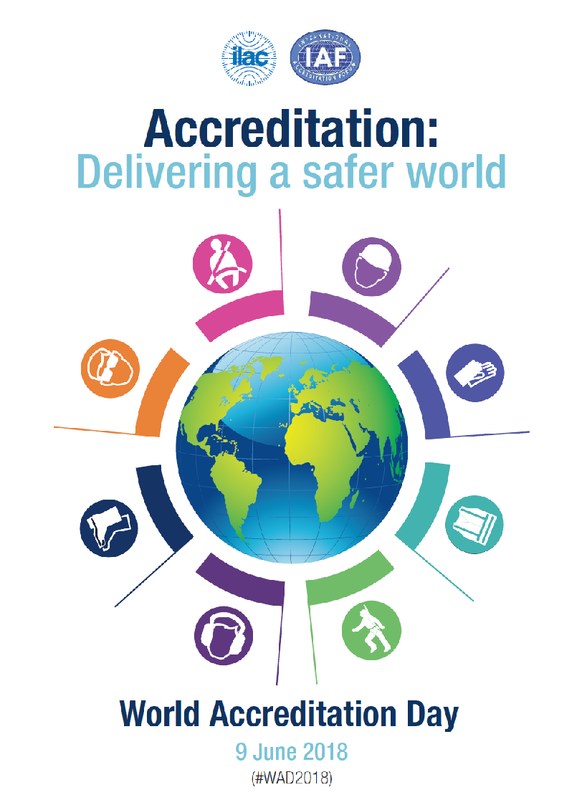 9 June 2018 is World Accreditation Day and the theme for 2018 is Accreditation – delivering a safer world. Great strides have been made in delivering a safer world and all strands of conformity assessment – standards, accreditation and certification – increasingly play their part in helping achieve this aim. The Chairs of the International Accreditation Forum (IAF) and the International Laboratory Accreditation Cooperation (ILAC) expand on this as they share their views on the role of accreditation in delivering a safer world in the joint statement. IIOC members deliver a range of solutions which help deliver a safer world: examples include various food safety schemes; information security ISO/IEC 27001 and very significantly the recently-published ISO 45001, ISO’s first health and safety standard. One practical example of the value of certification is seen in Italy where INAIL – Italy’s Workers’ Compensation Authority – the national governmental institute for insurance against accidents at work, has researched organisations who are certified to the occupational health & safety standard OHSAS 18001. They have seen that workplace accidents are up to 40% lower in these organisations against ones that don’t have such certification. As a result, they offer reduction in insurance premiums of up to 28% for certified organisations, delivering benefits to employees and employers alike. More details on this and other examples are in the IAF/ILAC World Accreditation Day 2018 brochure. World Accreditation Day enables the conformity assessment community to showcase the role it plays in delivering a safer world. You can follow some of the activities around the world at #WAD2018.